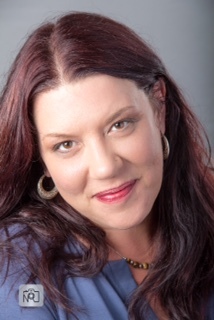 Marcie Cooper is a Registered Nurse and an AHNCC Board Certified Advanced Holistic Nurse. Early in her nursing career she began working in Oncology and Hematology and was quickly disenchanted with seeing a broken healthcare system. This led her into Home Health and in 2008 she started working full time in Hospice. This started her on her path to holistic nursing. In 2008 she was certified in NADA, an auricular acupuncture therapy specifically used for PTSD and addictions . In 2009 she put this training to use in one of Colorado’s only licensed drug treatment and long term care psychiatric facilities. There she helped to implement a holistic program for this population that included guided meditation, aromatherapy, and auricular acupuncture. In 2011 she graduated with her MSN from Tennessee State University, with a concentration in the Holistic Nurse Practitioner program. She continued to learn in Colorado, by attending a year of Eastern Medicine classes at The Colorado School of Traditional Chinese Medicine. She completed a second specialized training for auricular acupuncture therapy, so that she could provide treatment for a wide range of symptoms via this useful microsystem. Wanting to share her holistic and caring approach to patient care, she took on the role of a part time adjunct faculty member in 2010 and continues teaching Geriatric Nursing and Transcultural Nursing in a BSN Nursing program today. She also continues to work full time in hospice and palliative care. Marcie first became interested in Cannabis Medicine as she saw an increase in patients using cannabis and knew she needed a better understanding. The knowledge gained was so profound, she found herself emerged in the science of cannabis. She went on to create and contribute to several nationally offered nursing CEU courses and programs on cannabis including for Cannabis Nurses Network, American Cannabis Nurses Association, Holistic Cannabis Academy, and Cannabis Nurses Magazine. Teaching Healthcare providers and nurses is a second passion, as providing direct patient care has always been and remains her first love and passion.